Many Americans have not even heard of Luxembourg. Others think it is in Germany. Me? I lived, studied and worked there for one year. My initial reaction to the Grand Duchy was disbelief. Luxembourg, only two-thirds the size of America’s smallest state, Rhode Island, is full of dynamic cultural diversity and universal tolerance. Simply walking near the Grand Ducal Palace allowed me to hear dozens of languages. Citizens from all countries appeared to be welcomed with open arms regardless of nationality or any other differentiating trait. Even in today’s modern society, many countries struggle to be truly open-minded and accepting of those that differ in race, religion practiced and/or sexual orientation, for example. Fortunately, Luxembourg is a global role model in this regard. The cultural diversity and down to earth nature of those in Luxembourg paired with the accessibility of both EU and national government officials make the Grand Duchy an extraordinary place. 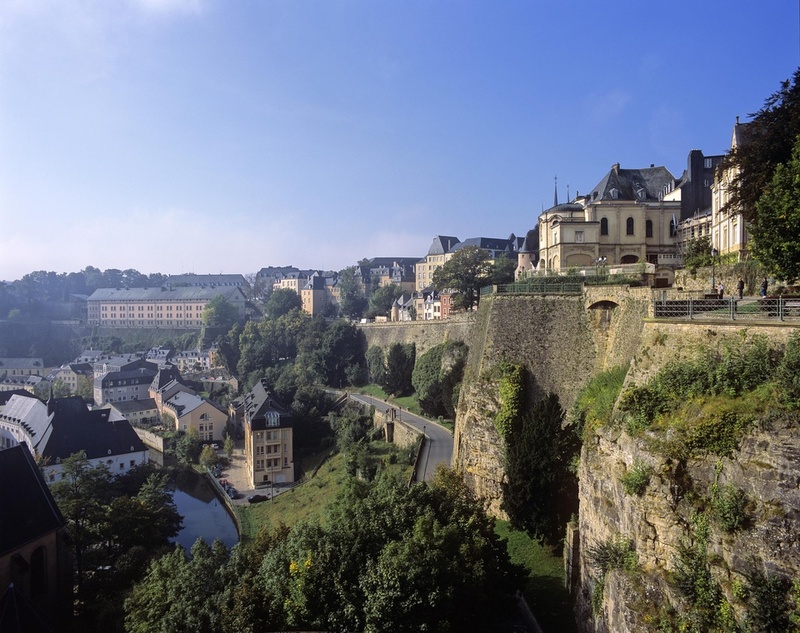 Unfortunately, these unique features of Luxembourg also magnify the country’s shortcomings. Indeed, month after month, I noticed certain elements of the Luxembourgish way of thinking that constantly limit the country’s success potential. As an international visitor, there were times when local approaches to problems demonstrated little flexibility, especially when there were predetermined guidelines in place. For example, many American credit and debit cards do not have identification chips in the same way that European cards do. Thus, it is not possible to simply insert the card and punch in a pin number; American cards must be swiped and a receipt signed by the cardholder. While this may seem like a simple procedure, there were numerous instances when I was told, “I cannot swipe your card because I was trained to insert the card in the bottom.” Every time, I would explain why my card could not be inserted, and occasionally, the individual would then swipe the card reluctantly. However, there were just as many occasions in which the individual would not listen and try again and again to insert my card to no avail simply because it was the way he or she was trained. This occurred at both private shops and public institutions. However, the problems keeping the Grand Duchy from realizing its true potential are larger in scale. In the current unstable European economy, Luxembourg is looking to diversify its economy and promote an entrepreneurial spirit within the community. But only recently, with the introduction of draft law No. 6777, have there been real steps taken by the government to remove bureaucratic barriers to entrepreneurial success. Until the new law is passed, the necessary funds are 12,500 euros to create a private limited liability company; this requirement is mind-boggling and hurts struggling entrepreneurs looking to capitalize on his or her bold innovation. Even if the law does pass, other barriers to entrepreneurship remain and must be addressed. For example, even with the rise of co-working spaces, regulations force each company to have its own registered workspace. This policy is outdated and adds an additional hurdle for budding entrepreneurs to face before they bring jobs and innovation to the Luxembourgish community. World-renowned companies, such as Microsoft, Apple, and Facebook, would not exist if the respective founders had to overcome such obstacles. Some business ideas that are quite common elsewhere are challenging to create in Luxembourg. For example, food trucks struggle to get off the ground because government regulation is too slow to catch up to the fast pace of entrepreneurs. In fact, these new “meals on wheels” providers are not allowed to park on public property, such as Glacis, and must find private offices or lots to serve their food. Why? Because the government has not yet classified a food truck – is it a restaurant or is it a motorized vehicle? The authorities must create business permits to allow innovative business to thrive, compete and benefit the country. So, what is holding Luxembourg back? Simply put, Luxembourgish citizens and the Grand Duchy’s government are scared to fail. Given that Luxembourg is a safe and wealthy country, the Grand Duchy’s people and government have no incentive to change or problem solve unless something goes very awry. Thus, when I struggled to pay with my credit card, it was not because the people using the machine were stupid. In fact, they were smart. They reasoned that their method would be effective because it had always been effective. Rather than experiment with a new method, they stuck to their tried and true practice, thereby remaining in their comfort zone. In the end, if the machine did not work, they felt that a superior would take the initiative to problem solve. Despite the popular support for government problem solving, history shows us that Luxembourg is generally slow to change. When the steel industry declined, Luxembourg finally moved into the financial sector. Now, with the uncertain economic times, the country claims that it is looking at promoting entrepreneurship, but it is simply not supporting this movement properly or fast enough. As an outsider, it looks as though the government is not sold on the fact that the financial and business sector will significantly struggle with the change in bank secrecy and tax laws. Thus, even though innovative start-ups are beginning to pop up, the government appears to be only half-heartedly supporting them. Yes, the government has signed a deal with an incubator in Silicon Valley, and it provides some financial support to start-ups. However, with all the legal requirements, entrepreneurs still face the hardest challenge – actually starting a company. The issue with the current “wait and see” approach taken by the government to build a strong entrepreneurial environment is that a successful entrepreneurial environment and culture cannot be developed overnight in the same way that other business sectors can. Was Silicon Valley created overnight? No. The Luxembourgish people and government need to start believing and supporting this movement now with necessary policy changes. If they wait too long until the situation is dire, it will be too late. 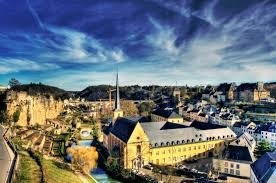 I love Luxembourg, and I would not trade my experience in the Grand Duchy for anything. I made lifelong friends, developed a deeper appreciation for varying viewpoints and cultures, met all types of people and earned a master’s degree. Today, a Luxembourgish flag hangs proudly in my room back in the US. Every day, it reminds me of the greatest year of my life. While my analysis of Luxembourg may seem harsh, I believe these hard truths must be faced. As Winston Churchill once said, “to improve is to change; to be perfect is to change often.” It is only through deep intellectual discussions and tough debates that the necessary changes can occur more frequently, which will allow Luxembourg to thrive for years to come.